Customized to your needs: Rather than offering pre-owned hangar space, we are allowing you the opportunity to have custom hangar space built to meet your exact specifications, including office space – all at competitive rates. We have a great team: Our team is dedicated and motivated to make sure the job gets done – and gets done right. We’ll go the extra mile to ensure your satisfaction. We have the longest private runway: Our runway is over 7,300 feet, making us able to handle all non-commercial jets with ease and making landings and take-offs safer and less stressful for pilots, crew and passengers alike. In fact, our runway is longer than the one at LaGuardia! We are also open around the clock, so if your clients need to fly any time of day or night, we’re here to make it happen. We offer world-class aviation and passenger facilities: Our FBO services and amenities are top-notch, ensuring ease of operation for your charter company as well as great services for your clients. This includes continued upgrades and expansion, such as our EXPO center for corporate clients, expert airport security, fuel purchase incentives and much more. We also have hangar space available now: If you want to move in right away, or need space while your custom hangar is being built, we also offer hangar space for immediate use – for rent or for purchase. Great alternative to Teterboro and Morristown: We are just 1hr and 15min from Downtown Manhattan by car, and 20 mins by helicopter, making us a viable alternative for NY City access. What’s more, our uncrowded airspace and ability to get your clients in the air without the delays that are common at other airports makes us an even more advantageous partner. At Monmouth Executive Airport, we’ve made service our differentiator. 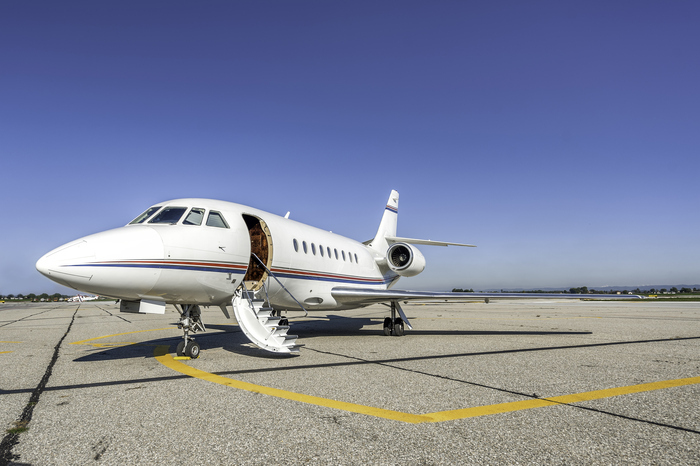 From a wide range of world-class FBO services and aircraft maintenance services to custom airplane hangar space and more, we set ourselves apart from the hassle and crowds of our competitors. In addition to our main runway, we also offer a secondary runway at 3512’ x 53’, ideal for most private jets, helicopters and piston aircraft – so you can always land in comfort. This year marks a significant milestone for the acclaimed Cannes Film Festival. Running for its 70th year, the 2017 festival will be held in France from 17-28 May. Featuring renowned Spanish film director and screenwriter Pedro Almodóvar as President of the jury and Italian actress Monica Bellucci as host, this year’s film festival promises to be the most exciting, exclusive and creative cinema event yet. Fortunately, Monmouth Executive Airport in New Jersey is ready to whisk you away on your private flight to Cannes in style. Sicilian Ghost Story – Directed by Grassadonia and Piazza, 2013 winners, this is a story about the disappearance of a young boy, and a young girl fighting back against the silence of her community in the face of this event. A Violent Life – Set in Corsica, this political and historical film is directed by Thierry de Peretti. It’s ultra-realistic focus is on the political radicalization of the main character. Bloody Milk – This is a thriller directed by Hubert Charuel, revolving around a dairy farmer and his family, who faces disaster when infection strikes his herd. Brigsby Bear – Directed by Dave McCary, this is the festival’s closing film. An American comedy-drama, it stars Kyle Mooney, Clare Danes, Mark Hamill and other well-known Hollywood stars, and focuses on a journey to complete the story of a well-known children’s show. Tehran Taboo – This is an animated film directed by Ali Soozandeh, and focuses on life in Tehran where the lives of three women and a young musician cross paths in a society filled with contradictions. With exclusive FBO services, concierge services and amenities, our airport offers everything that local and international visitors deserve. With a runway of over 7300 feet and 24/7 services, we can handle almost all classes of non-commercial jets with ease. If you fly your own aircraft, we also offer hangar space in NJ available immediately, including T-hangars, as well as custom hangar space. We stock both Avfuel 100 II and Jet A at competitive rates, and offer volume fuel discounts. Hangar space: Private airports in the tristate area and all over the USA are struggling to meet the demand for hangar space. However, Monmouth Airport has access to 850 acres of land, which is why we can offer aviators and charter companies clean, well-maintained hangar space in New Jersey right now. From T-hangar rentals with attached office space to custom built hangars to your exact specifications, we can handle it all at an affordable rate. Competitive fuel prices: Whether you run a charter company or enjoy flying your own aircraft for pleasure, the price of aviation fuel can have a big impact on your flying. We offer aviation fuel at a competitive or lower rate than other regional jet centers, including Morristown and Teterboro. We stock both Avfuel 100 II and Jet A, and offer volume fuel and self-service discounts. The longest runway: At 7300 feet, our runway is the longest of any private airport in the country, allowing us to handle almost any class of non-commercial jet or aircraft on the market. Our landing lights are always on, and fuel and de-icing services operate 24/7. Uncrowded airspace: Tired of delays, stressful landings and taking off, and heavy traffic both in the sky and on the ground? We’re located out of New York Class B airspace and one mile outside Mode C airspace, making for easy, stress-free flying. Despite our quiet location, we’re still an easy 1 hour drive or 20 min helicopter ride from Downtown Manhattan, Philadelphia or Atlantic City, and offer full limousine and car rental services. Does your child have their head in the clouds dreaming of faraway places? Do they love airplanes and are they fascinated by flight? Then becoming a pilot may be in their future! As part of bringing our passion for flying to our community, we’ve formed the Monmouth Executive Airport Young Aviators Club, hosted by one of the leading flight schools in NJ. 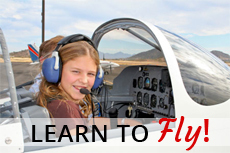 As part of our club, we’re offering every child from age 8 to 17 a free flying lesson from our highly-qualified instructors based at our fully licensed flight school, Eagles View Aviation, Inc. This gives kids a fun and informative way of exploring the world of airplanes, and of private and commercial flying, inspiring them to recognize the exciting opportunities, careers and lifestyle that learning to fly can offer. Learning to fly is about more than simply having an inspiring hobby – it offers real access to exciting career opportunities that are in high demand in the USA as well as around the world. From becoming a private pilot and flying cutting-edge corporate and luxury jets, to piloting the biggest commercial aircraft to exotic destinations, the life of a pilot is one filled with plenty of adventure. Many pilots also go on to become instructors themselves, helping to share a love of aircraft and flying with those around them. To find out more about our Young Aviators Club or to sign your child up for a truly unique experience, please contact us or visit our website at http://monmouthjetcenter.com/ today. For many of us, our pets are part of our family, and we want to bring them with us on vacation and share the excitement of travel with them. 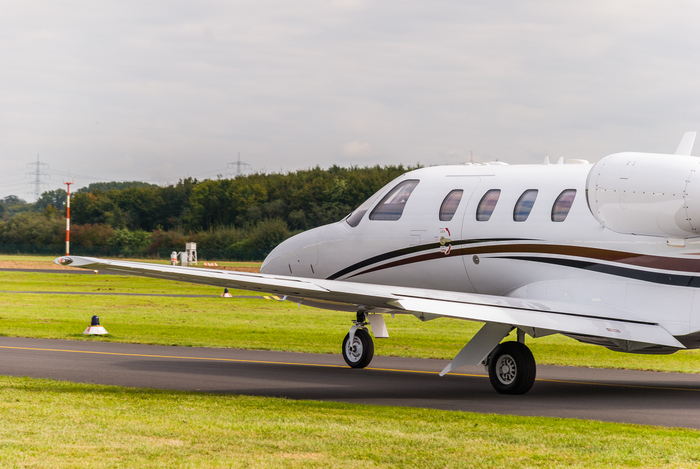 However, flying commercially with your pet is very different to using a private aircraft – here are some insights from Monmouth Executive Airport in New Jersey. Paperwork: Your pet needs to be 8 weeks or older and have all required vet vaccinations up-to-date, complete with paperwork. Rabies vaccinations are compulsory, while some airlines also require parvo vaccination certificates. Tickets: Each airline has different booking requirements for pets, so it is important to call ahead and find out exactly what you need to do. Some require fees for travel in the form of a ticket, while others are weighed on-site and dropped off at a specific airport location up to a few hours before your flight. Travel housing: Because your pet will be travelling in a pressurized hold, you will be required to house your pet in a travel kennel that meets certain size specifications. Some airlines also require a food and water supply in the crate. Some airlines will, however, allow you to keep your crated pet in the cabin with you – but only if there is space. Travel experience: Pets are generally separated from their owners and from before they board the aircraft, as they are loaded by staff into the pressurized hold. While every precaution is taken, there have been instances where pets have been left in harsh environmental conditions out on the tarmac while flight delays and other issues are solved. They cannot be monitored properly during the flight and the noise of the experience itself can be very stressful for even the most well-adjusted pets. Flying with a pet from a private airport like Monmouth Executive Airport where we offer world-class FBO services and amenities is a very different experience, both for you and your furry friend. Private jet companies are happy to go above and beyond for all their clients – and this includes pets. Although the same vaccine and health requirements are in place when you fly privately, the similarities stop there. Simply notify the charter company that your pet will be accompanying you and they will do everything they can to accommodate them in comfort, from keeping your pet with you in the cabin to planning specific meals and treats for your pet. Leashes are important for safety purposes on the tarmac, and crates are advisable for smaller pets to ensure their safety during takeoff and landing, but you will always be in close contact with your pet to keep them calm, happy and enjoying their flight.